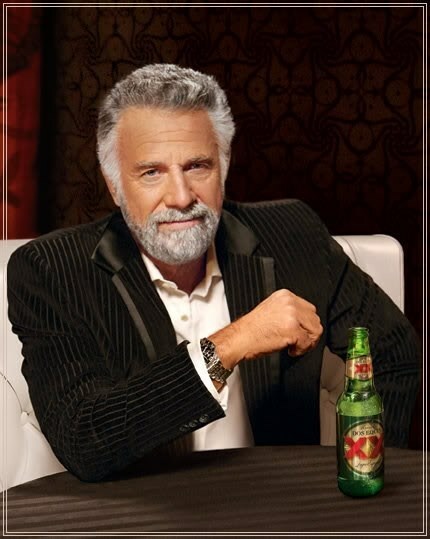 Dos Equis Beer was the starting point for this meme, featuring a live actor playing the role of The Most Interesting Man in the World. The company released a series of commercials with the character, with each one touting his extreme levels of interestingness. Aired locally in 2006, the ads gained much more attention when they went national in 2009. Actor Jonathon Goldsmith is responsible for playing the role, with the recognizable voice of Will Lyman from Frontline doing the narration. The YouTube video went viral in 2009, reaching over one million views, although earlier, in 2007, the ad made Time Magazine’s top 10 TV ads list for that year. The character has since taken a life of its own, and many places have featured the key catchphrases spoken at the end of the commercial: “I don’t always drink beer, but when I do, I prefer Dos Equis,”, and “Stay thirsty, my friends”. 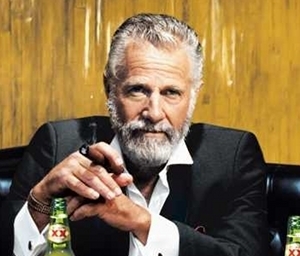 The main meme parody that has sprung up from The Most Interesting Man in the World, is the modeling of a formula taken from one of the lines in the commercial: “I don’t always do X, but when I do, I Y”. Many videos parodying the ad have spring up since then, including the Least Interesting Man in the World, and the Most Interesting Warcraft Player in the World.